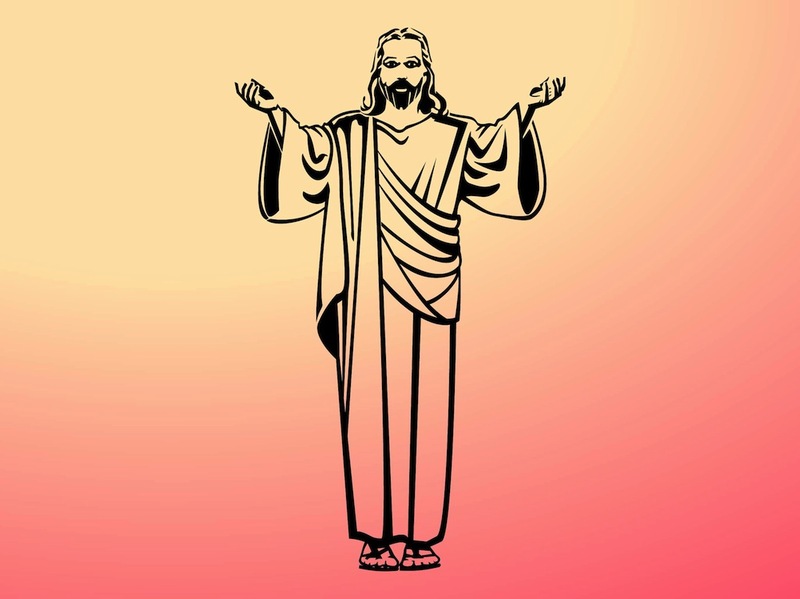 Religious vector footage of Jesus Christ standing up with his arms wide spread. Preaching or talking Jesus with long robe, dark hair and beard. Free vector portrait for religion, religious, faith, Christianity, god and deities designs. Download religious vector for posters, flyers and prints visuals. Tags: Bible, Christianity, God, Jesus Christ, Preach, Religion, Religious.